CINCINNATI -- Duke Energy is expanding its investment in local students and workforce development by funding 36 education and training programs – totaling nearly $600,000 – in southwest Ohio and Northern Kentucky. 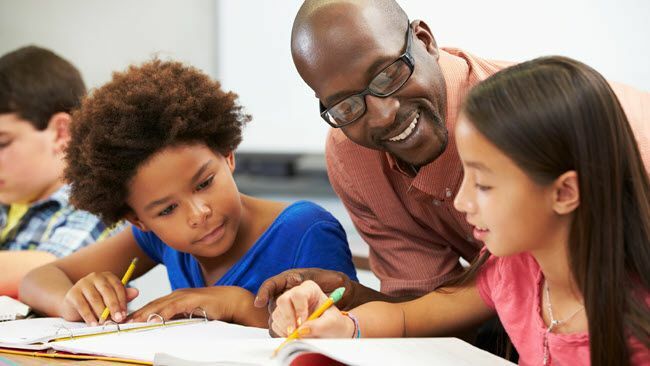 The grants, which are administered by the Duke Energy Foundation, will benefit and enhance educational programs focused on science, technology, engineering and math (STEM), childhood reading proficiency and workforce development. "Preparing the workforce of tomorrow begins right now," said Jim Henning, president of Duke Energy Ohio & Kentucky. "These investments directly benefit local students of all ages and backgrounds. And, in turn, we're helping our communities embrace change and prepare for a future workforce that will look a lot different than today." Greater Cincinnati STEM Collaborative – $30,000 to purchase bicycles and helmets for students in the STEM Bicycle Club after-school program; enable hundreds of diverse, low-income students to attend STEM summer camps; and allow hundreds of middle school-age girls to attend Greenlight for Girls Day Cincinnati, which provides engaging, hands-on STEM workshops. Northern Kentucky University Foundation – $50,000 for scholarships for Northern Kentucky middle school teachers to attend the Next Generation STEM Classroom Project to learn how to best keep students engaged and interested in STEM subjects. Cincinnati Public Schools – $39,925 for high-quality instruction, time-tested reading intervention materials and more to reverse deficiencies in second-grade literacy across the district – and help students reach literacy proficiency. The Literacy Network of Greater Cincinnati – $15,000 to recruit, train and support volunteer reading tutors; supply books to tutors to encourage their students to read at home; build Little Free Libraries across the city; support the Children's Basic Reading Program, which helps children who have profound reading difficulties or symptoms of dyslexia; and underwrite the Winners Walk Tall program, which provides character lessons to help children develop healthy habits, a positive self-esteem, respect and the ability to make good decisions. Northern Kentucky Cooperative for Educational Services – $25,000 to connect high schools and employers to prepare students for successful transitions to the next chapters in their lives as well as their careers. Warren County Educational Service Center – $25,000 to expand career exploration opportunities to students deemed at risk; develop and implement various tiers of mentoring services with local businesses; and provide opportunities for students to engage in innovative programming designed to increase awareness of the top priority areas of industry and develop formal and informal professional mentoring relationships within their future career trades. Click here for a complete list of the 36 STEM, literacy and workforce development grants, which total $599,025.